A couple of years ago we picked up this old picket fence for a project. Well, that project got lost along the way, and the picket fence got buried under a bunch of other project materials. This long weekend, we started to clean out the materials to make room for our upcoming wedding in August, and we found the picket fence. It was begging to be put to use. We needed to fence in the back yard anyways, and the rustic feel that this picket fence had was perfect!! Old fence became new again 🙂 We used all recycled material. 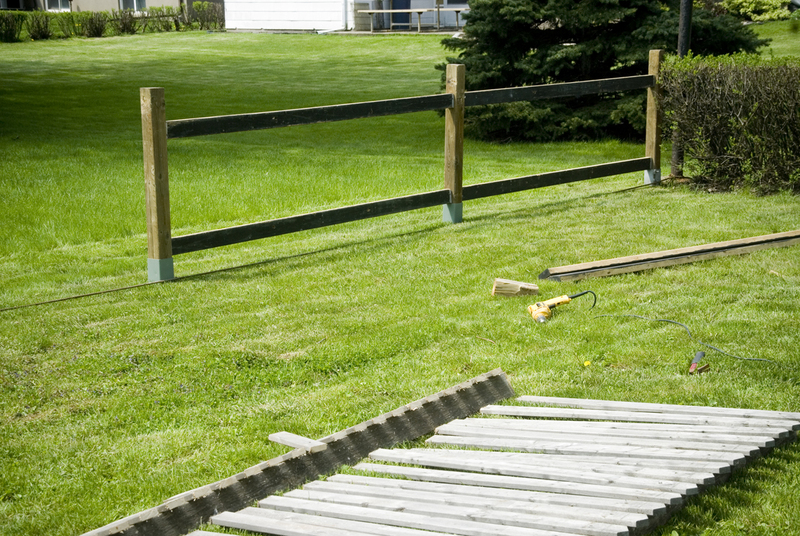 The entire project cost only $60.00 because we had to buy fence spikes to drive into the ground. 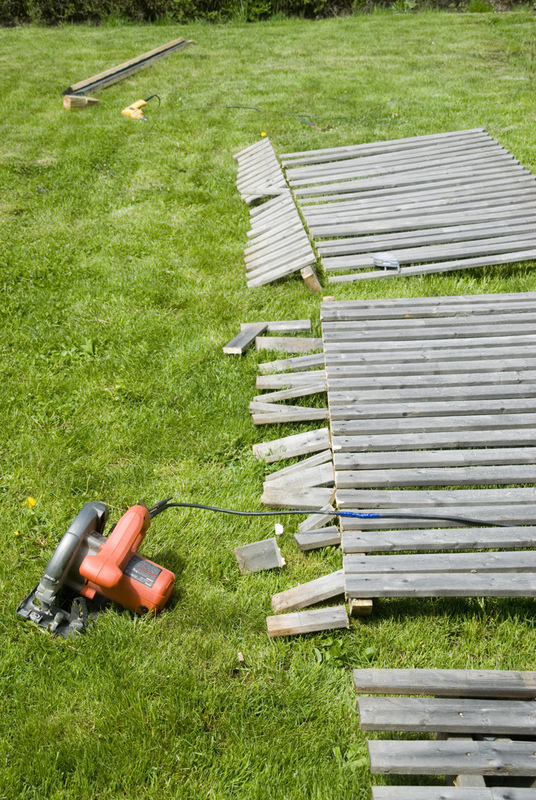 This is what the picket fence looked like when we dragged it out. The heights were all different. The pickets needed to be cut. We decided on 40″ high fence. We used a chalk line to measure 40″ and cut the pickets while they were on the frame. As per the blog name, Money or Time, here comes the time part! Taking all of the screws and nails out. That took the most time and gave me a blister the size of a dime. I decided not to take a picture of the blister because…..well….it is just gross. 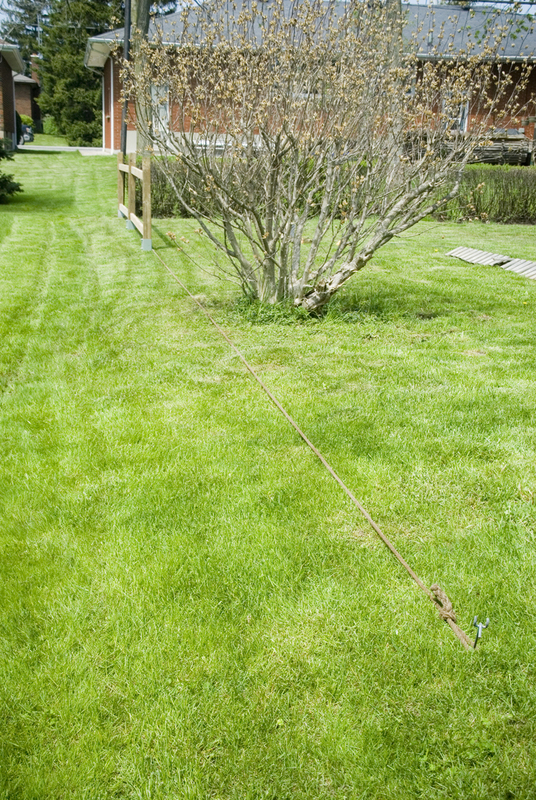 In order to keep things straight, we used a piece of rope across the lawn. We just followed the rope with the frame to make sure that we didn’t accidentally sway into the neighbours yard. 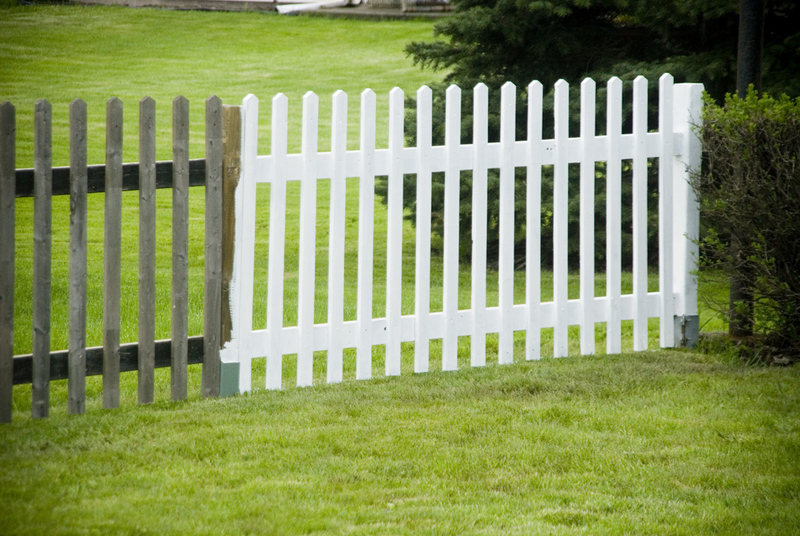 It was amazing what a coat of white paint did to our recycled picket fence. It is perfect!! I cannot wait to finish it and plant a garden along it! 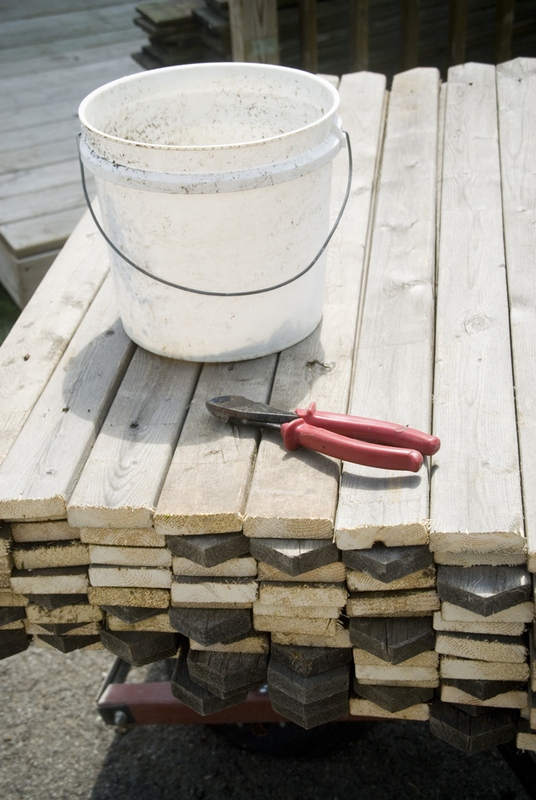 Using recycled material is great for the environment, the pocket book and your yard! Although it may have taken a little extra sweat and a couple blisters, it still only cost us $60.00…..and it looks great! The cheapest bathroom redo EVER! !